Message Queuing Telemetry Transport (MQTT) Visualized, Explained #IoT #IoTuesday « Adafruit Industries – Makers, hackers, artists, designers and engineers! 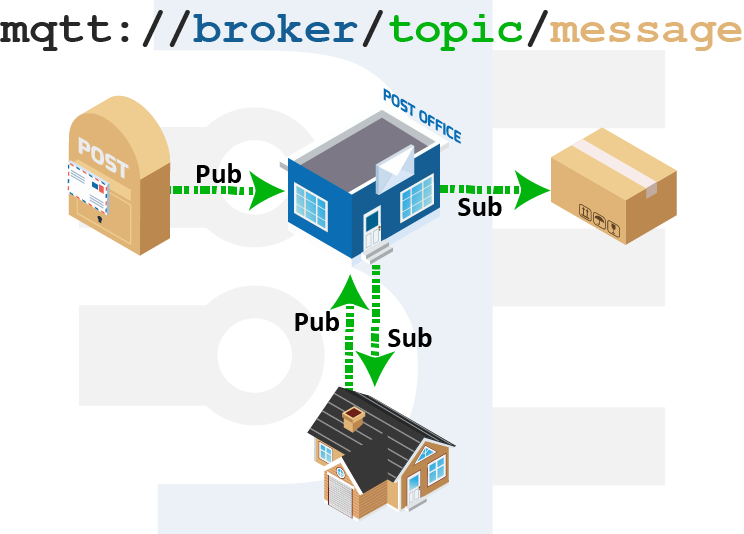 James “Bald Engineer” Lewis delivers a primer for understanding MQTT. Clients can publish (Pub) messages, or send letters, to the post office. Other clients can subscribe (Sub) to topics, or receive letters, from the post office. Moreover, clients can both publish and subscribe.